Alice Neel (1900-1984) was one of the most remarkable American artists of the 20th century. Best known for her intense portraits, Neel was never especially fashionable or in step with avant-garde art movements; pursuing her own path and sympathetic both to the expressionist tradition of Northern European painting and the darker aspects of Spanish art, she worked in a style that was distinctly her own. Although widely admired in her lifetime, Alice Neel's paintings have only recently begun to receive the attention they deserve, and this is in no small part due to the impact of the recent retrospective of her work, Alice Neel: Painted Truths, organised by The Museum of Fine Arts, Houston, which travelled to the Whitechapel Gallery, London, and the Moderna Museet, Malmo. 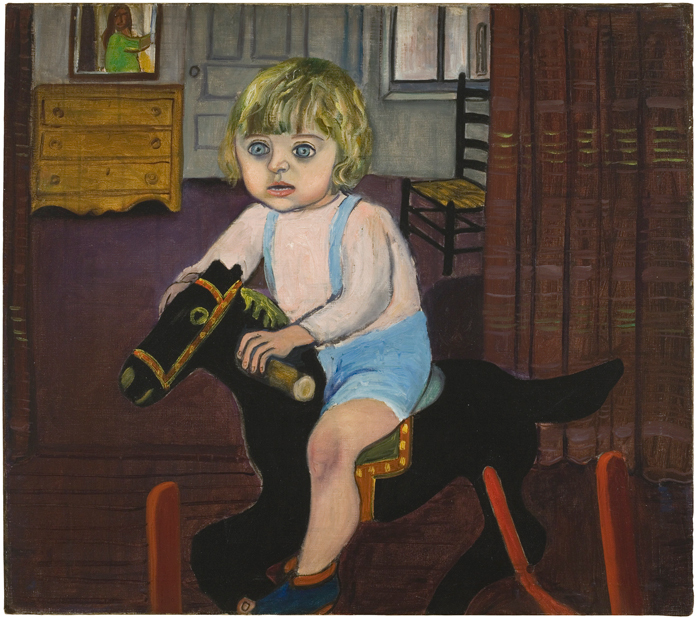 This exhibition, selected by Jeremy Lewison, includes portraits of Alice Neel's children, grandchildren, parents, and lovers. Oil paintings will be shown in Gallery 1; works on paper will be displayed in Gallery 2. A catalogue, with a new text by psychoanalyst Adam Phillips, will be published by the Gallery to accompany the exhibition. The Douglas Hyde Gallery wishes to express its warm thanks to the Neel family for its invaluable support of this exhibition, to Jeremy Lewison for his expertise and professional guidance, to Victoria Miro for her initial help with the project, and to David Zwirner, New York. The catalogue of the exhibition was made possible by the generosity of Joe and Marie Donnelly, and of Adam Clayton, to whom we are also most grateful. 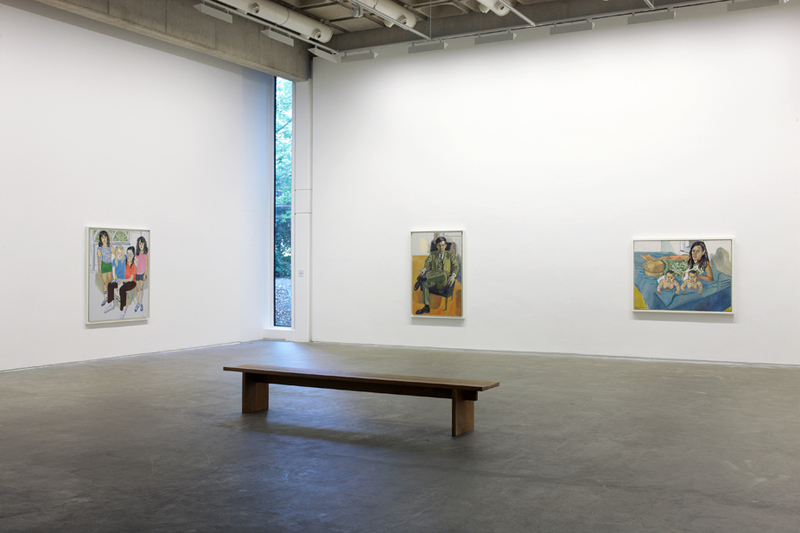 This exhibition, initiated by the Douglas Hyde Gallery, is a collaboration with Dublin Contemporary 2011.